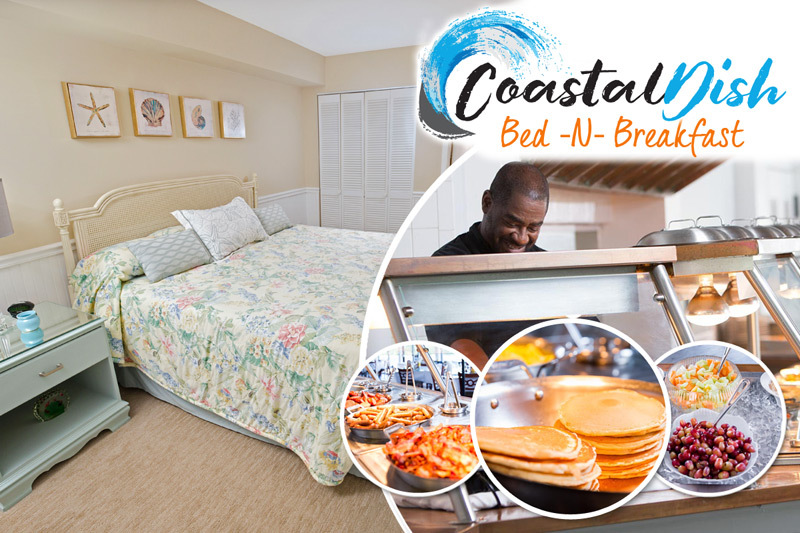 If you're fortunate enough to own a vacation condo or beach house in Pawleys Island, you're in possession of some of the most relaxing square footage available along the entire east coast! But unfortunately, sometimes you have to say goodbye and leave your beloved property behind when you return home. Instead of leaving your property unused, why not turn it into a source of passive income? The Litchfield Company has over 40 years experience in rental property management of beach houses and condos in Pawleys Island and has earned the trust of hundreds of satisfied partner owners. So what can The Litchfield Company offer to you and your property? Here are the top four reasons to allow The Litchfield Company to represent your Pawleys Island condo or beach house. The Litchfield Company strives to market your Pawleys Island condo or beach house and place it front and center among vacation properties, catching the eyes of thousands of potential travelers. Our state-of-the-art website features real-time booking, gorgeous high-resolution photography, social media integration and a clean design optimized for smartphones and tablets. We also utilize partnerships with the leading booking websites like Expedia, Hotels.com, Orbitz and Booking.com to ensure the maximum amount of reservations and revenue for your property. When you utilize your Pawleys Island beach house or condo as a source of income, you expect detailed reporting and timely statements. Our meticulous accounting department will deliver just that, with convenient direct deposit service for your monthly income checks, yearly 1099 documentation and market-conscious pricing to ensure that your condo or beach house is rented for a competitive and profitable rate. The Litchfield Company places the care and well-being of your Pawleys Island condo or beach house as a top priority. Our diligent housekeepers are company employees, not contracted workers, and ensure that each guest to enter your property is greeted with clean and tidy accommodations. In addition to preparing your property for upcoming guests, our housekeepers also perform seasonal inventories of your condo to determine that all your unit's items are accounted for. And to make sure the busy travel season doesn't take a toll on your property, we perform seasonal deep cleanings and carpet cleanings to keep your condo or beach house in immaculate condition. If something goes wrong at your Pawleys Island beach house or condo, you may not be able to drop everything to make a trip down to fix it. That's where our maintenance team comes in! Our dedicated maintenance personnel are well-trained in general repair in fields like plumbing, electrical work, carpentry and painting. If you're looking to upgrade appliances, flooring or plumbing fixtures our team members are able to coordinate delivery and installation of these items. We provide 24/7 response for emergency issues like leaks or entry problems. In addition, our maintenance staff will assist in routine tasks like HVAC tests, dryer vent cleaning and filter changes to follow HOA regulations. With such a robust rental management program, it's no reason why so many property owners in Pawleys Island have turned to The Litchfield Company to represent their vacation rental. If you're interested in maximizing the earning potential of your Pawleys Island vacation property, call or email us today to learn how valuable your property can be. After all, you've worked hard for your Pawleys Island vacation property. Let it work for you by teaming up with the rental program at The Litchfield Company!